This article explains the LABEL ARCHIVE error message “The parent document was not Checked Out by you” / “You did not check out this document” and details how to fix the underlying problem that caused it to appear. 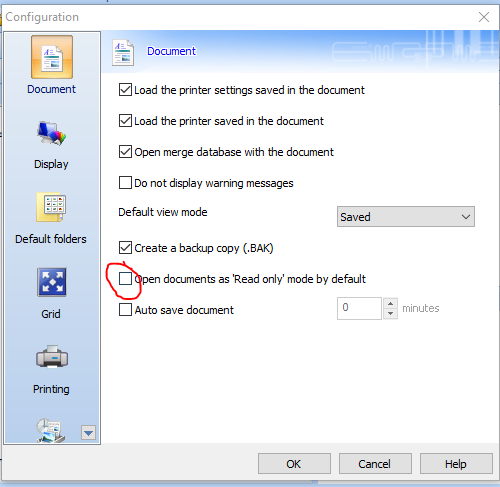 LABEL ARCHIVE was unable to process the SAVE request due to the fact that the file was open in read-only mode. CODESOFT may have been set to open the file in Read-only mode. Verify and correct CODESOFT setting: Tools/Configuration.